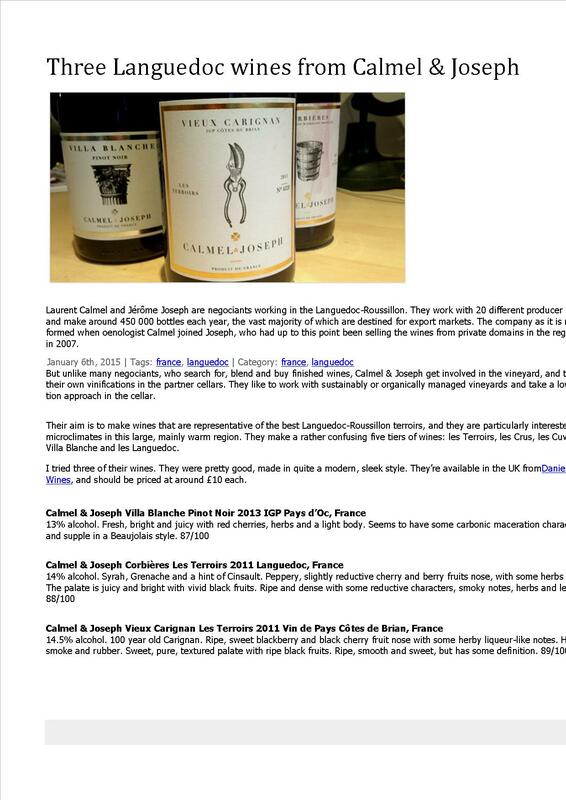 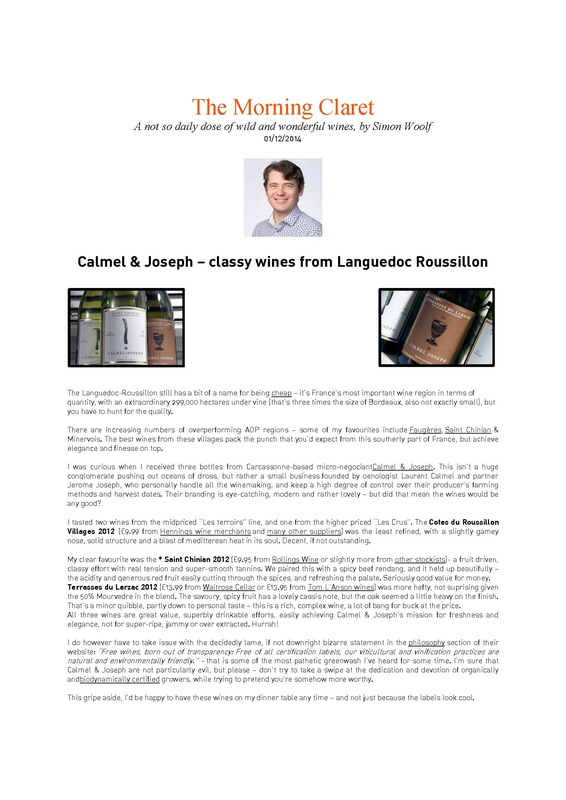 Calmel & Joseph St Chinian 2012 is a top-drawer red from a distinctive Languedoc appellation. 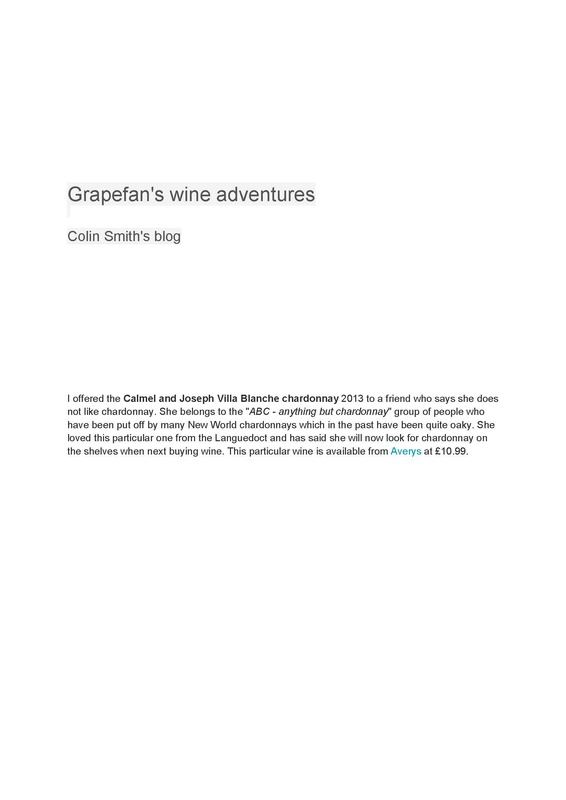 St Chinian reds are from grapes including carignan, cinsault, grenache, mourvèdre and syrah, all common to several neighbouring ACs. 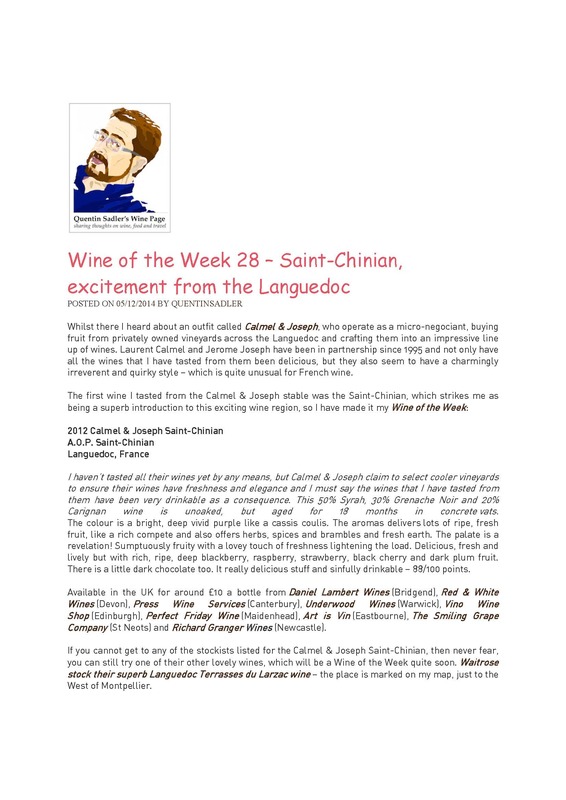 But St Chinian has its own unique style, exemplified in this particular wine by what its maker calls "the black olive and tapenade" aromas and flavours.